Marco Donnarumma (b. 1984) is a performance artist and scholar. 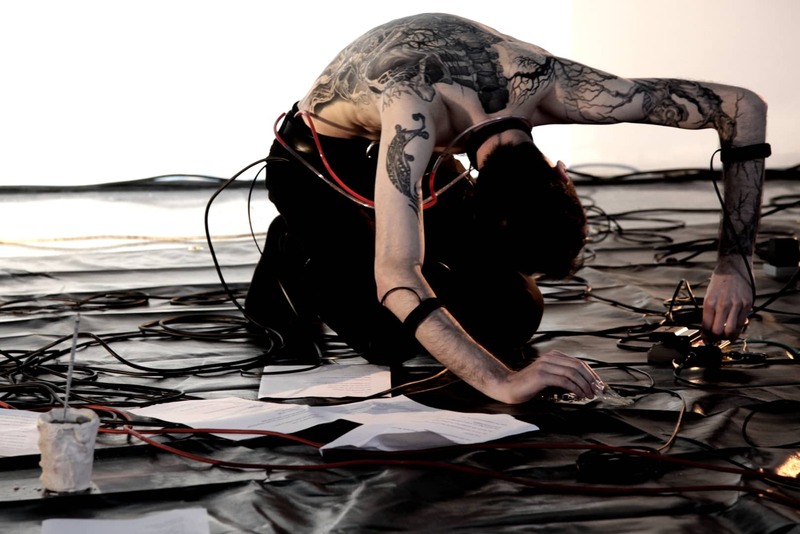 A unique presence in contemporary performance, he distinguishes himself by his use of emerging technology to deliver body performances that are at once intimate and powerful, oneiric and uncompromising, sensual and confrontational. Working with biotechnology, biophysical sensing, and more recently artificial intelligence and neurorobotics, Donnarumma expresses the chimerical nature of the body with a new and unsettling intensity. He is renown for his skill in using sound, whose physicality and depth he exploits to create experiences of instability, awe, shock and entrainment. During the residency Marco Donnarumma will lead two sessions of the Reading Room at Stroom Den Haag on October 6th and 14th and will perform within the No Patent Pending series at Baruch Pavilion on October 15th 2016.